When talking about the UK, you are often reminded of the dominance and power of the British Empire in recent history. Its global extent has noticeably influenced and shaped many cultures and nations. So, it comes as no wonder that some of the most powerful and influential people are residents of the United Kingdom today. 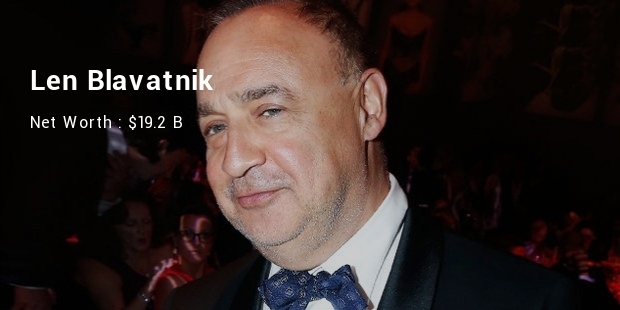 Len Blavatnik, the Ukraine-born businessman, philanthropist and angel investor is reportedly the richest man in the UK with an estimated worth of around $19.2 billion. Most of his earnings have been through various investments in a variety of companies from different industries. 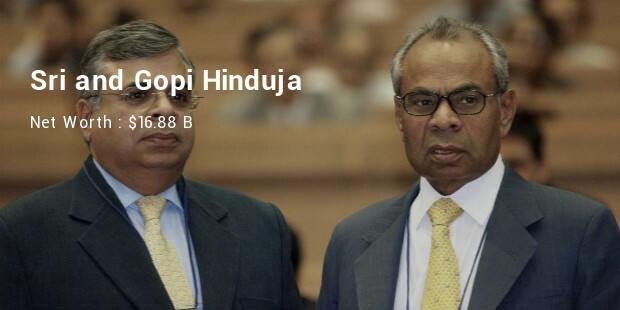 Indian-born business giants, the Hinduja brothers- Sri and Gopi are together estimated to be worth a whopping $16.88 billion. The proud owners of the global conglomerate, the Hinduja Group, their business ranges from automobiles to finance and oil as well. Galen and George, of the popular Weston family of the UK are estimated to be worth $14.2 billion today. Their business interests range from food to the clothing industry at a global level with more than 300 companies owned worldwide. 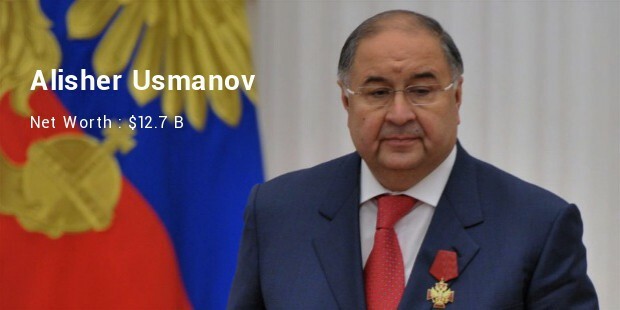 Alisher Usmanov, one of the richest persons of Europe, is worth an estimated $12.7 billion. The Uzbek-born Alisher Burkhanovich Usmanov is a Russian business giant and also the richest man there. 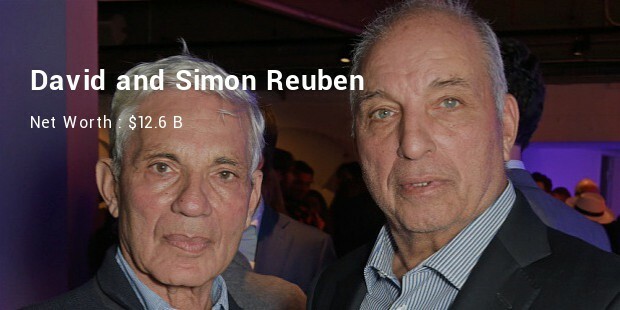 David and Simon Reuben, the British brothers and successful businessmen, are estimated to be worth around $12.6 billion. Their business interests include mainly the real estate while they have holdings in shipping, commodities and metals as well. 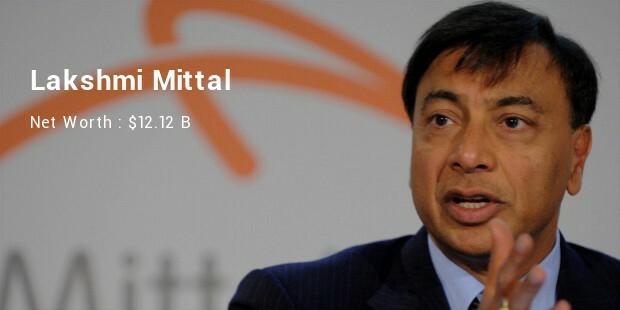 The Indian-origin steel tyccon, Lakshmi Mittal, is one of the richest men in the world as well as the UK with an estimated worth of around $12.26 billion. His conglomerate, the Arcelor Mittal is one of the largest producers of steel in the world. 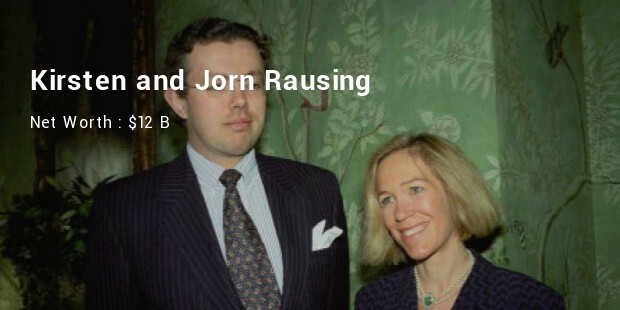 Kirsten and Jorn Rausing, the sister-brother duo and Swedish-born business owners, are estimated to be worth around $12 billion together. They own Tetra Laval, the worldwide food packaging and distributing industrial giant. 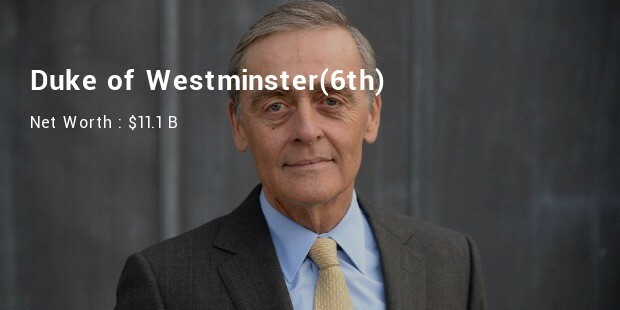 Apart from the being the 6th Duke of Westminster, (retired) Major General Gerald Cavendish Grosvener is also the owner of some of the prime real estate in and around London. His personal worth is estimated to be around $11.11 billion which includes more than a 100 acres of property right beside the Buckingham Palace. 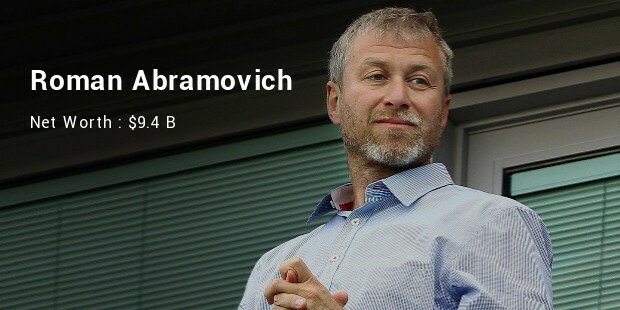 The Russian-born businessman and the proud owner of the Chelsea Football Club is worth an estimated $9.4 billion. Apart from his extensive business holdings, he is also the owner of the world’s most expensive private jets and personal yachts. These richest men from the UK also prove that the leadership qualities of the kingdom can certainly influence people from other countries and help them achieve success in the highest form.